Get a Moving Postcard wall calendar as a Thank you for supporting my videos! 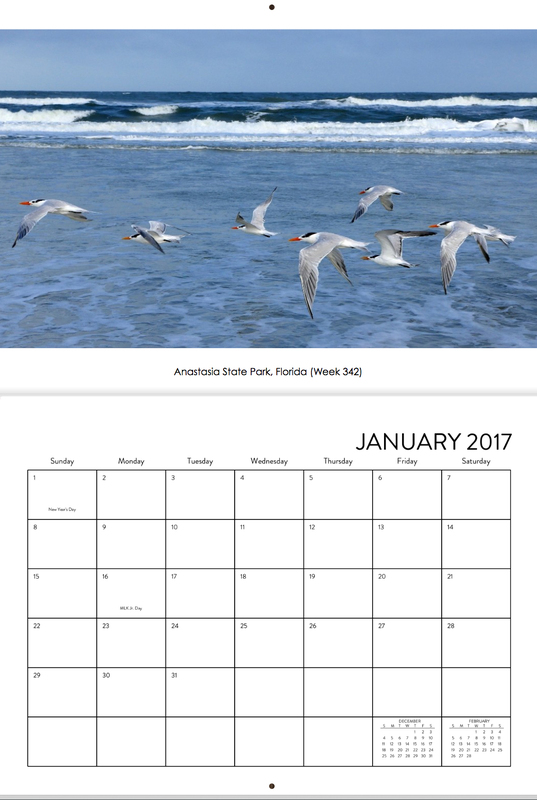 To celebrate creativity, exploring and sharing in 2017, I am offering a 13-month wall calendar featuring photos from my Moving Postcard web series. This very limited-run calendar is not for sale! Instead, I would like to gift it to the first 5 people who pledge their support for my work through Patreon - and to the kind people who are already Patreon supporters. Deadline: January 7th, 2017. If you're already supporting my work through Patreon, just send me a message that you'd like a calendar. If you're one of the first 5 people to respond, I'll send one your way. Patreon is the best way for creators to earn ongoing revenue directly from their fans. For patrons, Patreon is a way to join your favorite creator's community and pay them for making the stuff you love. Instead of literally throwing money at your screen, you can now pay a few bucks per month. This means the creator gets paid regularly, and you become a bonafide, real-life patron of the arts. That’s right--Imagine you, in a long frilly white wig, painted on a 10-foot canvas on the wall of a Victorian mansion. And imagine your favorite creators making a living doing what they do best… because of you. For creators, Patreon is a way to get paid for creating the things you’re already creating. Fans pay a few bucks per month, and then you get paid every month. A Moving Postcard is a short video showing a place or an event. These are either 1-minute videos or longer versions of those videos - all shot and edited by me, Luci Westphal, a German New Yorker currently mostly exploring Colorado and the Wild West. I've been releasing such a 1-minute video every single week (usually on Thursdays) since May 7, 2010 - that's 348 weeks. Resulting in over 350 videos so far. The videos have always been free to watch - and you can find them on MovingPostcard.com, Vimeo, YouTube, Facebook, Google+, Pinterest and Patreon. In addition, I've become quite active in publishing photos from each video shoot online. You can see all of the published photos on Flickr - again for free, of course. Getting support via Patreon means a lot to me - it helps me cover some of the costs associated with making the video series and photographs. But if it were just about money, I wouldn't give away a $40-calendar for the potential donation of just $1 just one time (since you could cancel in February). Being able to have tangible proof that people believe what I create is worth creating means a lot more to me. That's why I want to make sure more people know about my work and this opportunity to show support for it. And it's fun to create extra content for and communicate with the community of patrons! 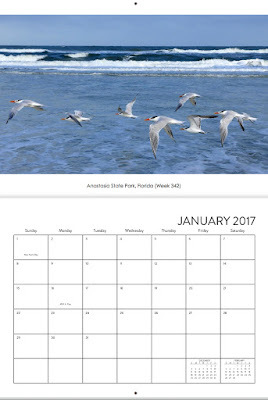 A calendar in your home, classroom, store or wherever you might hang it, would get my work out to more people. I hope it would inspire others not only to watch my videos, read my accompanying posts or look at my photography - but that it would also inspire them to explore, capture, create and share. Why now? We're only $26 away from my next goal on Patreon. Reaching that goal would cover my monthly software subscription expenses. And once we reach that goal, I have pledged to finally put together monthly behind-the-scenes videos. Why also now? There's a two-edged sword here. I'm deep in post-production on my documentary "All's Well and Fair" - and also developing another documentary I want to shoot later this year. It's a challenge to devote time to all projects equally. Stop making Moving Postcard videos is tempting... So on one hand, supporting me on Patreon lets me know that you want me to keep making the Moving Postcard videos. On the other hand, your financial support also pays for post-production and development of my long-form documentaries since I'm using the same equipment and software for all my projects.